Mortgage companies that are staffed by top-producing loan officers can maintain consistent growth and position themselves for the future. 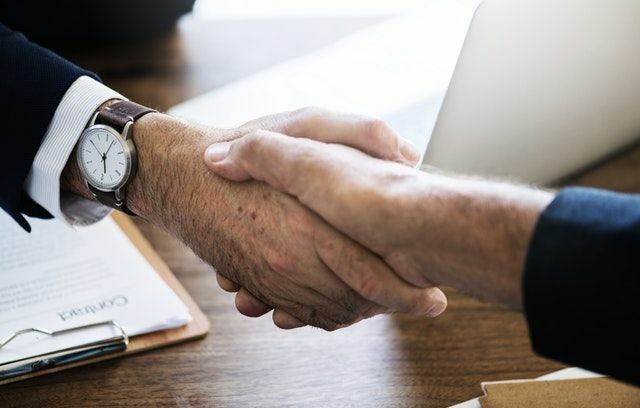 But across the mortgage industry, recruiting and retaining loan officers is still one of the biggest challenges for lenders. Conversations about retaining top talent often veer into topics like compensation and benefits packages. 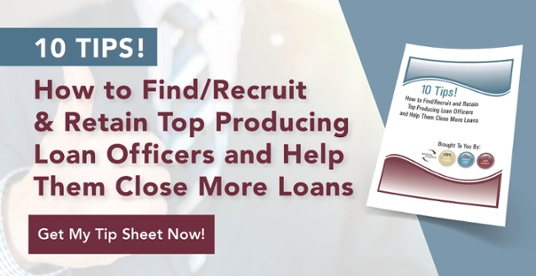 But surprisingly, the things that play the biggest influence in keeping loan officers on the job are often training, office culture, and operational and marketing support. The mortgage industry is full of complex and sometimes confusing processes, not to mention the regulations. Generating leads and referrals, managing them, and keeping track of data shouldn’t add to the stress. A mortgage CRM is supposed to help with these processes. It should optimize your mortgage financial marketing efforts and make the lives of your loan officers easier. If you’re using a CRM that only adds complexity and stress to your loan officers’ day-to-day, it could hurt your loan officer retention. Keeping in touch with hundreds of different people is a difficult task. CRMs are designed to parse data and contact information, then present it in a way that’s intuitive and actionable. But some CRMs have too many unnecessary features. Learning how to use them can take far too much time, and often they don’t add value because they don’t get used at all. If you’re using a CRM that wasn’t designed specifically for the mortgage industry, chances are your loan officers are suffering from this issue. There are too many portals, windows, and menus. They have trouble finding what they need when they need it or are confused about how their CRM is supposed to benefit them. Choose a CRM that can be picked up effortlessly by your loan officers. If there is a lengthy onboarding process involved, or the switch feels too difficult, it may not be the best choice for you. You should be able to onboard your new CRM quickly and painlessly, and your loan officers should start seeing the benefits of using it immediately. Lead generation, client referrals, and client retention are the three core competencies of an effective mortgage CRM. If your CRM doesn’t help your loan officers maintain their relationships and reputations, it could be contributing to their stress and frustration. Automation is the best way to make these processes more efficient. Instead of crafting and deploying every marketing campaign by hand, automation cuts out menial tasks to make the process faster and easier for loan officers. Automation can also save you time and money, allowing your team to focus on more important tasks than, say, sending email campaigns to prospects and past customers. Two key features to look out for are automated email campaigns and automated direct mail. These tools can be utilized for prospects, referral partners, and current customers. As your business grows, you’ll need to add more users to your CRM. You’ll also have more data to analyze, more communications to keep track of, and more contacts in your database. These added layers of complexity can put a strain on your loan officers if they don’t have the right tools to manage them. If your current CRM doesn’t have the capacity or functionality to take on more data, it could become more of a problem for you than a solution down the road. A scalable CRM is flexible and agile in such a way that you can grow effortlessly. Instead of worrying about how your digital tools will fit with your growing business, your CRM should facilitate that growth with easy-to-use processes. If you find that your loan officers are still being forced to write everything down, your CRM probably isn’t doing as much as it could for them. A good CRM includes all the features your loan officers need to do their work. Having a streamlined, paperless system can help them expedite their processes and make their work much easier. This doesn’t mean your CRM should replace the tried-and-true phone call, however. But your loan officers should have fast and efficient methods of reaching out to customers and managing customer relationships. It should be easy to see all of their communications in one space so they don’t have to go digging through notes or their memories. There are many other steps you can take find, recruit, and retain loan officers. Training, compensation, and support are all important to your retention rates, but consider your CRM in the process as well. Most CRMs aren’t designed for this unique industry, so look for a CRM that compliments your loan officers’ needs.